Almonds There are 16 products. 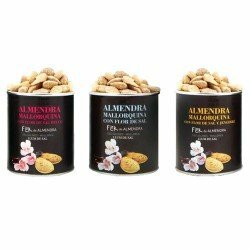 Selected Almond of Mallorca 100g. 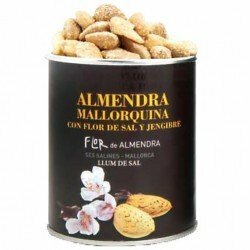 Almonds grown in Mallorca is especially sweet and has a high oil content, which makes it superior in quality to other almonds from other regions.Taste, texture, aroma and natural farming, make our almond high quality food that makes the difference. 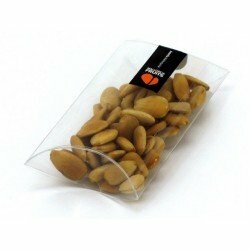 Snack selected toasted almonds of Mallorca 100g.Almonds grown in Mallorca is especially sweet and has a high oil content, which makes it superior in quality to other almonds from other regions.Taste, texture, aroma and natural farming, make our almond high quality food that makes the difference. 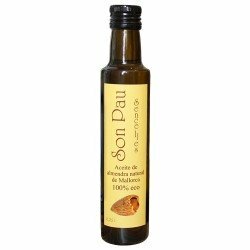 ROASTED ALMOND OIL. Ingredients: 100% natural almond oil. 100 ml. Cold pressing. "Great Taste 2013" award by obtaining the highest qualification "The 3 Stars". ALMOND OIL: Organic farming. 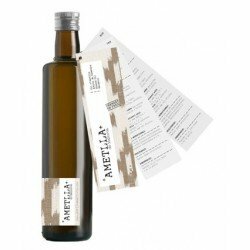 Ingredients: 100% pure natural almond oil. 250 ml. Almond, tomato and spices. Ideal for:Rice, meat and vegetables. Almond, dried apricots and lemon peel. Ideal for:Salads, vegetables and desserts. Almond, parsley and garlic. Ideal for:Pasta and fish. 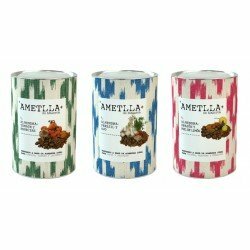 This pack consists of 3 units of "Ametlla+"
Selected toasted Almonds of Mallorca + Selected Almonds of Mallorca + 2 artisan Nougats Includes gift bag. 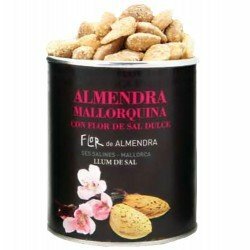 Mallorcan Almond with Fleur de Sel.Llum de sal - Ses Salines - Mallorca.200 g.
Mallorcan Almond with sweet Fleur de Sel. Llum de sal - Ses Salines - Mallorca. 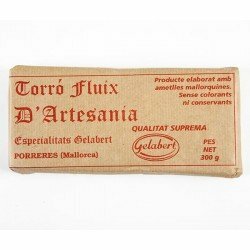 200 g.
Mallorcan Almond with Fleur de Sel and ginger. Llum de sal - Ses Salines - Mallorca. 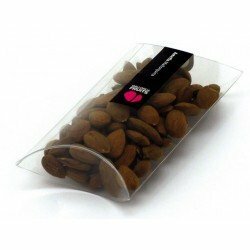 200 g.
Mallorcan Almond with Fleur de Sel. 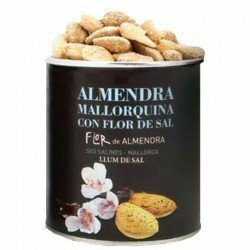 Mallorcan Almond with sweet Fleur de Sel. Mallorcan Almond with Fleur de Sel and ginger. Llum de sal - Ses Salines - Mallorca. 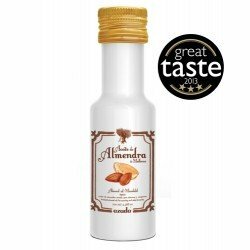 ALMOND OIL: Ingredients: 100% natural almond oil. 250 ml.